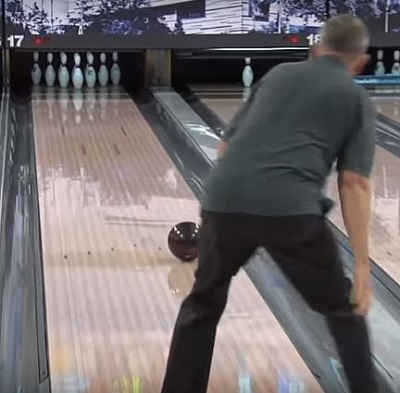 Home→Tips and Tricks→Why Bowling Balls Crack? 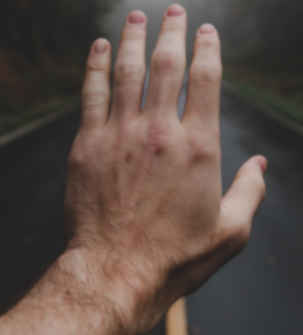 Why Bowling balls crack frequently between the fingers. Often you hear people say, that their reasoning is because one thing or another happened. It is odd that the most common spot is between or around one of the finger holes. I wanted to you what I found out about why bowling balls crack. 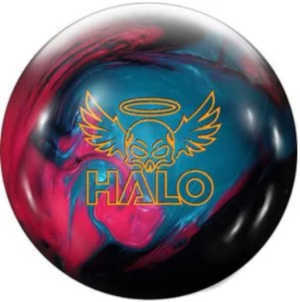 Well, the most common theory is always, because the ball is weakened with two holes drilled close together like the fingers.That does make sense, but then why do others say that more bowling balls crack that have finger inserts in them? Could this be the culprit? When you have a ball drilled for finger inserts, the holes are drilled bigger to allow for the insert. This in turn places the holes closer together, and removes more structural strength from the ball. I have heard that the drilling causes the ball to crack. Is seems they are trying to say is that when the ball is drilled in the shop,the holes get angled towards each other. This theory is because of the round nature of the ball. When using a drill press and jig that a slight reverse angle of drilling is required. This keeps the finger holes from pointing in towards each other and reducing the strength of the ball by a wrong angle. 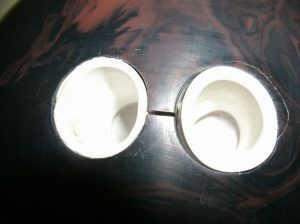 Then, the holes will be closer together deep inside the ball, and a crack would develop down deep and work out. Possibly a Bad Drilling Angle? magnify the problem,along with an angle of drilling, putting them even closer together. I do remember some finger holes that were drilled to close together and didn’t have inserts that did crack between the fingers.It was very obvious and you could see they were too close together within 1/8″ and are normally no closer than 1/4″. The bowling balls today are comprised of several different layers. A cover stock which is the outer most covering, a composite inner core, and a block weight in the center to help compensate for the drilling of the holes in the ball. Because of the different materials used, the curing process is different for each material. In order to compensate for this, the inner parts or core and block are allowed to cure before the cover stock is applied. In the process today, heat is used to speed up the process and is one possible cause of bowling balls crack. Why? It is believed by some that because the core has not cured properly, it continues to cure and shrink, and eventually separates and results in a cracking of the cover stock, or bowling ball cracking. And I have actually witnessed a brand new ball thrown 2 games on the alley right beside me, and the bowling ball crack appeared the whole way around the ball. Now that would tend to lean toward the core situation. A time honored method from years past was to put the bowling ball into the stove oven and heat the ball to remove oil. This had to be a controlled situation, because at temperatures above 150º f the ball starts to melt the plasticizers that the ball is constructed from. Removing a small amount of plasticizer would likely not hurt, and in fact brings fresh plasticizer up. But, any amount of time say longer than 20 mins above 150º would do more damage than good.It is also possible for bowling balls to crack from extreme temperatures. A hot water bath is the safest way to deep clean the ball to remove oil. Whatever the reason, I sure hope they get it figured out, because today’s bowling balls cost from $100 to $300 and are not what you would consider cheap. And with the newer cover stocks the durability has also come into question when balls are losing their hooking ability after fewer and fewer games, but that is another discussion. If you like what you read, or have any questions, please leave a comment below. Wow, I don’t often think about all what all it takes to drill a few holes into the ball. Is there a way to prevent cracking ? Thanks for taking the time to comment and ask such a good question. You don’t have any control over how your ball is drilled, unless you specifically tell the driller to be careful not to get them to close or angle the holes towards each other, but he should already know this.I can tell you a few pointers to protect your ball from cracking. First of all,keep you ball in a controlled environment and avoid drastic changes in temperature.Sometimes high temperatures can cause a ball to crack, such as leaving a ball in the car trunk in the heat of summer.However, some balls have been reported to crack while sitting in a controlled environment without any drastic heat change.So sometimes they crack all by themselves, and their is nothing that anyone has done to cause it.then, I believe it falls back on to the manufacturing process.Thank you for asking such a good question, and I hope you continue to visit my website.